SKU: EFITUNEUP. Categories: Buick Cascasa 1.6T, Buick Encore 1.4T, Buick Regal 2.0T Turbo/GS/CXL, Buick Verano 2.0T, Cadillac ATS 2.0T, Cadillac CTS 2.0T, Cadillac SRX Turbo 2.8T, Chevy Camaro 2.0T, Chevy Cruze 1.4T, Chevy Malibu 1.5T, Chevy Malibu 2.0T, Chevy Sonic 1.4T, Chevy Trax 1.4T, Opel Atra J OPC 2.0T, Opel Cascada 1.4T, Saab 9-3 Aero 2.8T, Saab 9-4X 2.8T Aero, Saab NG 9-5 2.0T, Saab NG 9-5 Aero 2.8T, Saab Turbo X. Tag: custom tune update. Many aftermarket components require additional data logging and calibration adjustments in order to achieve maximum performance and avoid undesirable driveability issues or check engine light codes (DTCs). The Custom Tune Update option provides additional data logging review and calibration optimization to support common modifications that you installed after receiving your initial Tuning software. Common modifications covered under this tune update are catless downpipes and other exhaust modifications, cold air intakes, turbo upgrades, fuel injector upgrades, methanol/water injection systems or ethanol flex fuel upgrades. 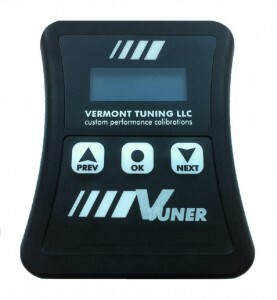 You must already own our handheld tuning system to order this Custom Tune Update.